I wrote this letter last year, when I went into remission from my six-year battle with late stage neurological Lyme, babesia, bartonella, Rocky Mountain spotted fever and Erlichiosis. I wrote it to my 2009 self, on the brink of my declining health to try to encourage myself and breathe some strength into what I was about to face. And more importantly, I wrote it so that those who are beginning their fight with Lyme will find strength to endure the grueling journey that awaits them. In just a few short months, something is going to happen to you that will change your life in ways you never fathomed. What lies ahead is not pretty or easy. I know that you consider yourself a strong, resilient woman. I know what you’ve been through, what you’ve survived. I am here to remind you that all that strength will be needed. Those coping skills will become an asset in ways you never imagined. You will survive, even though there will be times that you will cry out to GOD to call you home, when the pain is so unbearable it supersedes any other thought. What you think and know will be challenged. People that you trust will fail you, will turn their backs on you and walk away. They will mock you because they don’t understand what you are going through. I know how frustrated you will become. You’ll want compassion and support and you will get it ~ but in the most unconventional forms. Don’t worry about the ones who let you down and walk away. They are going to make room for the new people who will come into your life, people who share this journey with you, who understand you in ways even those closest cannot. They will inspire you with their stories, educate you with their experience and encourage you to fight the good fight, to stay the course. One day, they will recruit you to join them as fellow Lyme warrior, Educator, Advocator and Supporter. Although your body will break down and you will lose sight of the woman you once knew, you will be rebuilt into something stronger, something greater. This path will strengthen you and will lead you in new directions. As you grow, you will have the support you need for every step of the way. Remember this part because you will lose every ounce of strength that you have. Even the most mundane daily chores will be taken from you. You will be attacked from all sides ~ physically, mentally, and emotionally. Yet, although there will be some very dark moments, filled with some of the worst pain you’ve ever felt, you won’t be alone. Your cries will be heard, your tears collected. All your ashes will be saved and restored one day. I am here as living proof that you will survive this pain, the darkness, the despair and even the heartbreak of everything that you will lose. Pride won’t get you anywhere. You will have to ask for help. It will humble you and from there, you will grow. There are lessons to be learned and whether you want to or not, you will learn them! Now this next part of the letter may be difficult to read and even harder to grasp. Those doctors in whom you’ve placed all your trust and faith will fail you on the first part of your journey. They will exasperate you. You will feel lost and hopeless. Stay the course. Don’t give up. Listen to others who have gone down this path. Do your own research (that part I know you will love) and find what’s right for you. The frustration will come from the many walls that you hit. But keep hitting them, for one day they will crumble and you will see a path that will take you in a different direction. Trust me. You want to take this path, for it will save your life. You won’t understand a lot at first but the people that you meet on this path will teach you and they will do so in ways so that you will fully understand everything and know what to expect. They will stay close to you and they will check in on you ~ you will never feel alone again. They will empower you with their unconventional ways, empower you to want to get better, to want to make a difference…..for others. I can’t say how long this bend in the road will be, for I am still here on this journey 5 years later but so much better than I ever was. I can say now that I never thought this day would come ~ but it did. This illness will forever change your life. It will break you down physically as it grows you spiritually. It will strengthen core values within you that had been ignored and make them a priority. It will change your outlook on life and set your feet on a new path. You won’t know where you are going or when you will get there but that won’t matter because you’ll enjoy all the stops and people you meet along the way. I know you will find all of this hard to believe. Doctors turning their backs, insurance wars, outdated guidelines by the IDSA and CDC, misdiagnosis after misdiagnosis and failed treatment. Trust me, it will be bad. It will be frustrating. It will make you scream at doctors and it will reduce you to tears in public settings. I know that this all sounds like crazy talk (and you will be accused of that too while on this journey). Keep pushing forward. Don’t take NO for an answer. When you hit a wall, keep pounding until it crumbles. When you feel lost, Cry Out. There are people who are there to help you. When you feel alone, lift your head and look at the thousands who stand with you. You won’t know or even remember all their names but you’ll know their stories and it’s that connection that will forever link you to each other, strengthen one another even from a distance. It’s that connection that will take a debilitating disease that can weaken even the strongest, toughest person and make them #Lymestrong. 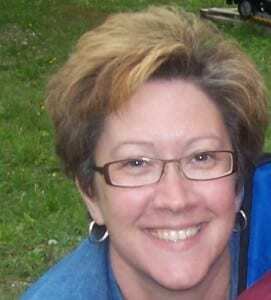 Paula Jackson Jones is co-founder of Midcoast Lyme Disease Support & Education, in Maine. Contact her at lymewarrior247365@gmail.com. 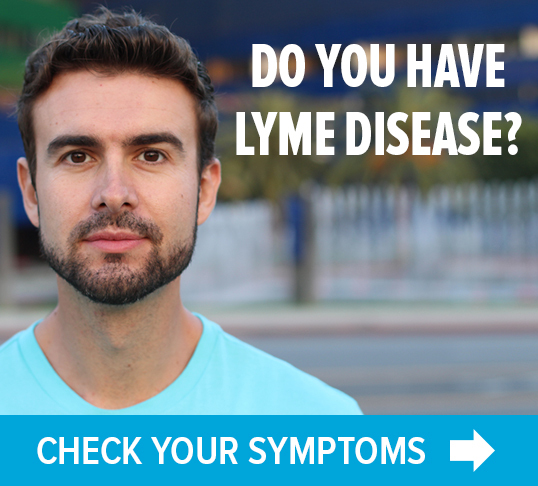 TOUCHED BY LYME: "Chronically ill friends–I know you. I believe you. I understand you." 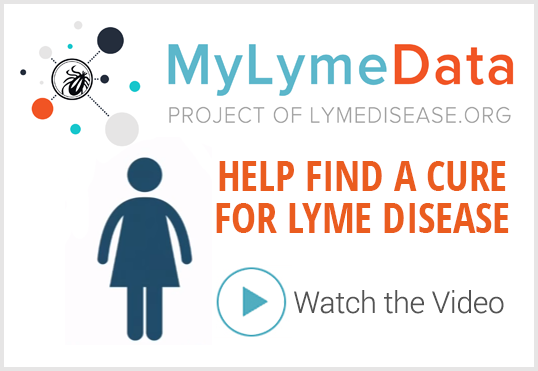 TOUCHED BY LYME: Sit right down and write yourself a letter…. Thank you so much for posting this. I’m going through a rough patch right now and need all the inspiration I can find :-). I’ve probably had Lyme disease for about 55 years and didn’t know it until about 3 years ago or so. It’s been quite a journey. Some days it’s very difficult to know things can be better. I will read and reread this – thank you so much for posting it.